Armitage is open source software and fantastic GUI front-end for the Metasploit Framework developed by Raphael Mudge with the goal of helping security professionals better understand hacking and to help them realize the power of Metasploit. 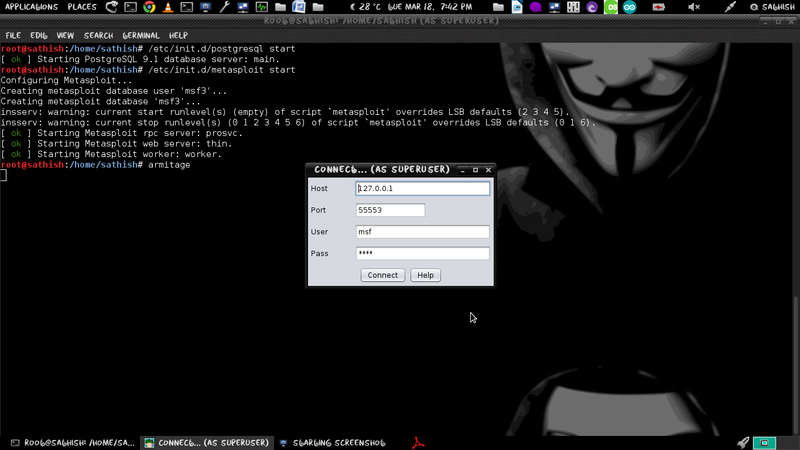 Armitage organizes Metasploit’s capabilities around the hacking process. There are features for discovery, access, post-exploitation, and maneuver. It’s a scriptable red team collaboration tool for Metasploit that visualizes targets, recommends exploits, and exposes the advanced post-exploitation features in the framework. Communicate through a shared event log. Run bots to automate red team tasks. 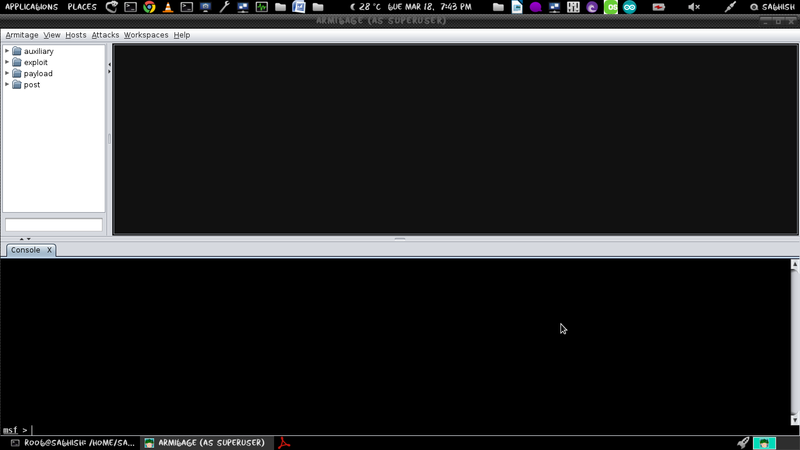 By default Armitage is not distributed with Kali Linux. 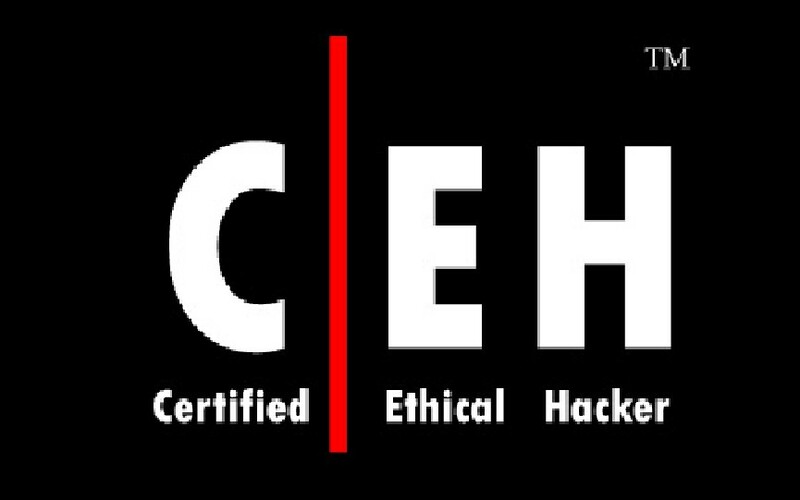 It is in the Kali Linux repository though. 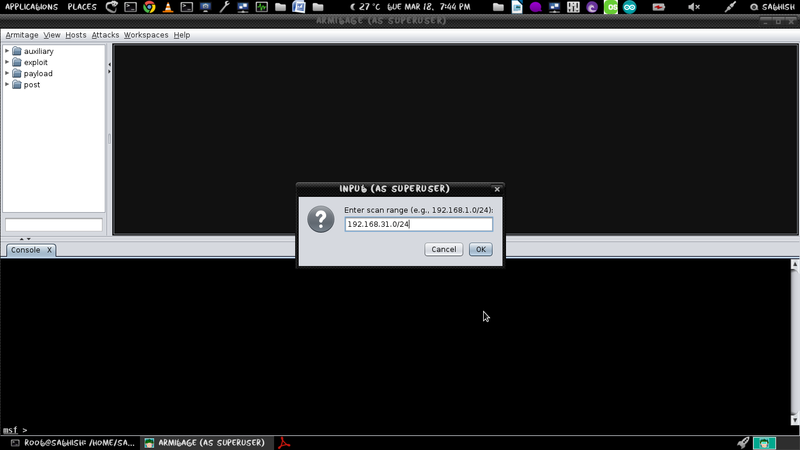 Armitage does not use the Metasploit service, but starting it once will setup a database.yml file for your system. Connect dialogue box will appear. Click connect button and If this is the first time a Ruby scripts will load… slowly. The GUI fills the entire screen. 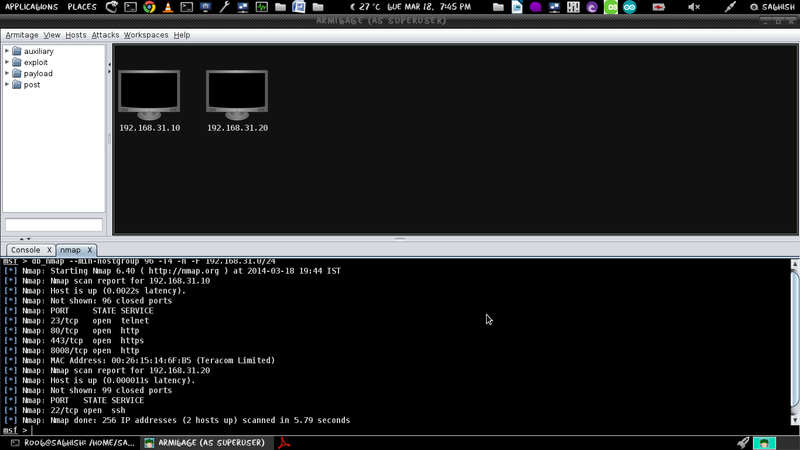 Leave it for 5 minutes and NMAP will report all hosts on your home network. 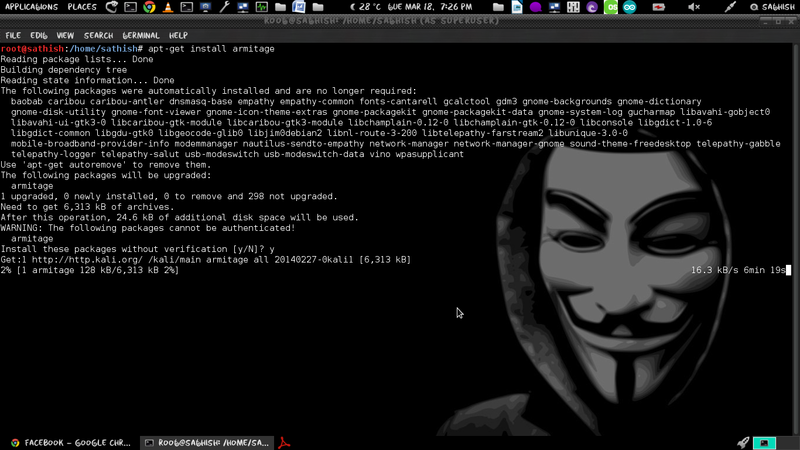 That’s it play and penetrate with Armitage in Kali Linux.